Today is the grand finale of the Mega Regional Marathon, Indian Food Odyssey and I am very happy to end it on the sweet note. 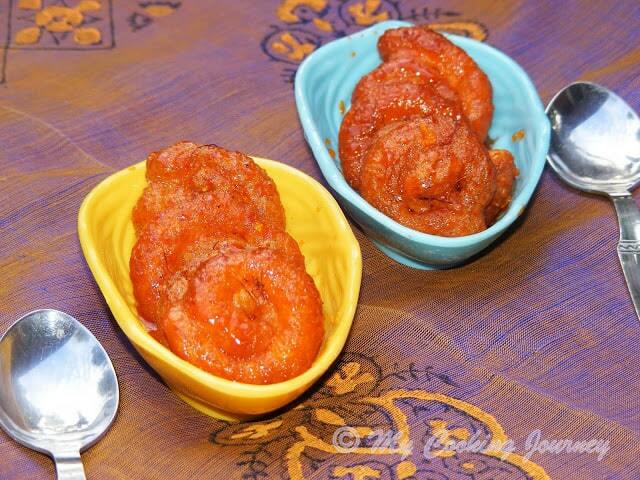 It also happens to be my 400th post on the blog and here is an authentic Bengali sweet for all my readers. This month had been so busy with so much last minute preparations, writing, drafting and learning. I would like to thank Srivalli, the master mind behind this for giving me the opportunity to learn so much about my own country. I can now absolutely say that India is united by the cuisines of different states. 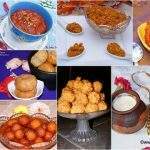 So many similarities between cuisines and it was a delight to learn. Coming to the last state (alphabetically), West Bengal is a state in the Eastern India. It is bordered by Bangladesh, Nepal, Bhutan, Odisha, Jharkhand, Bihar, Sikkim and Assam. The capital of the state is Kolkata. 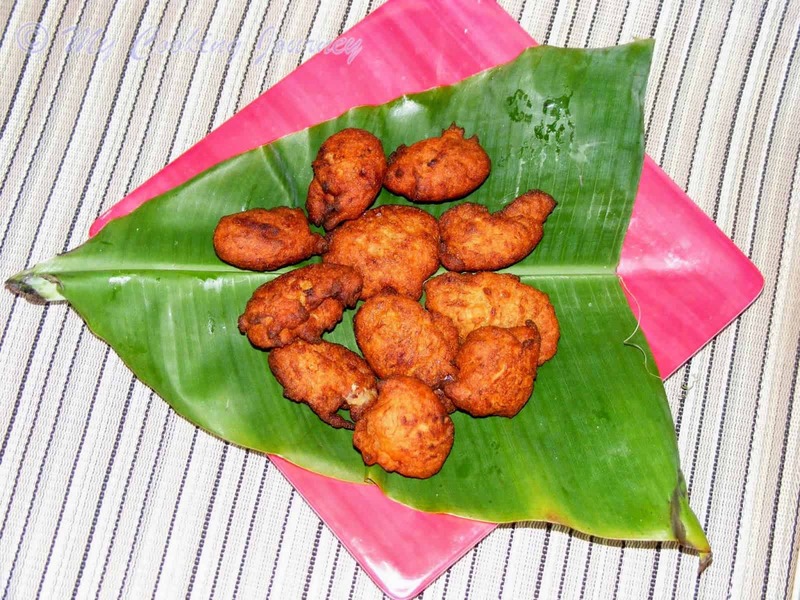 Rice and fish are the traditional favorite food of Bengali people. There is a saying that goes with it saying that ‘fish and rice make a Bengali’. 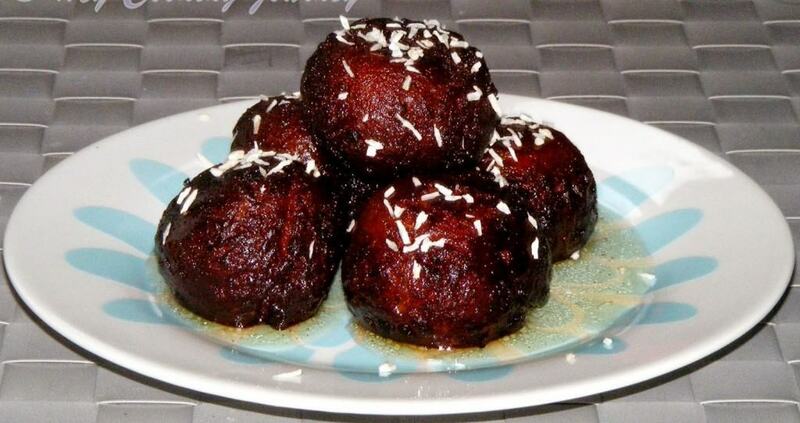 Desserts (specifically Sweets) play a very big role in their meal. 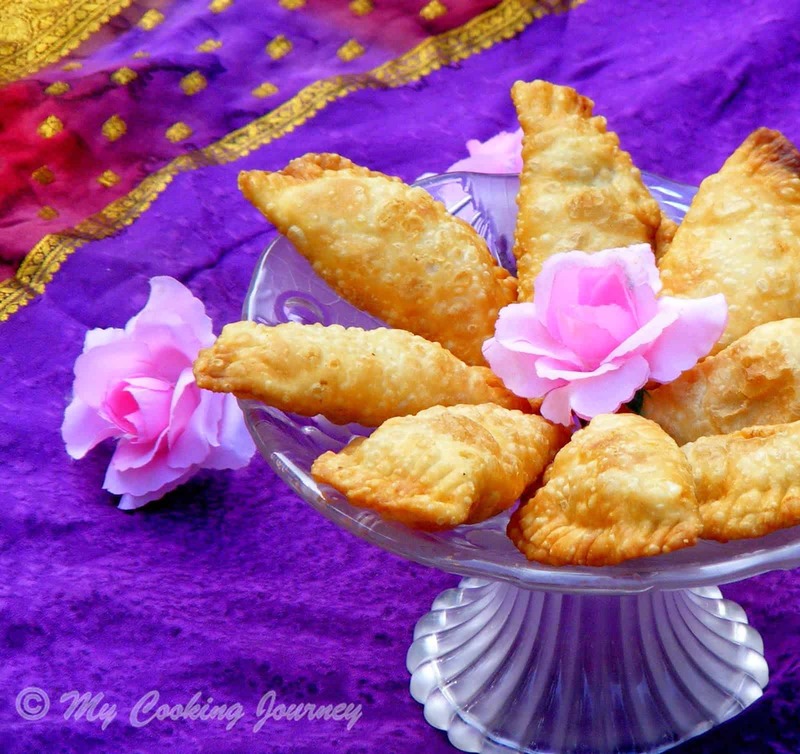 Milk based sweets are very famous and my family would do anything for a Bengali sweet! That is one of the reasons why I decided to make Kala jamun for the state. 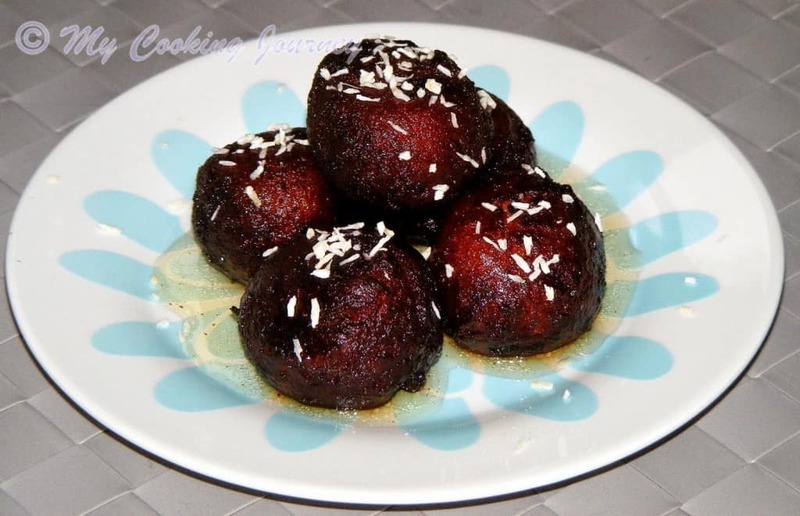 Kala jamun and Gulab jamun are cousins. 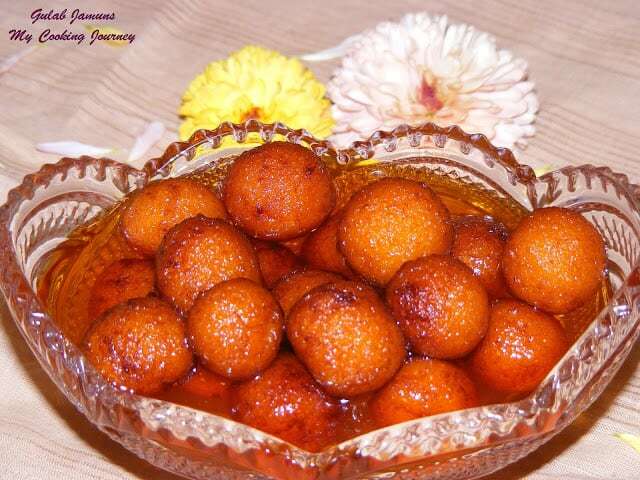 Gulab jamuns are light golden in color and smaller in size. 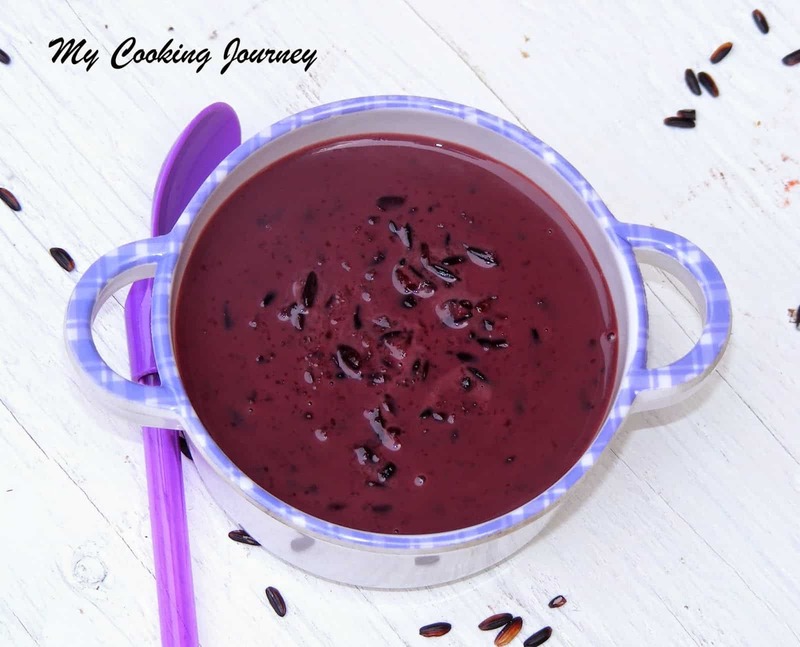 Kala Jamun is very dark, almost black (as the name says, Kala means black) and is made with paneer (Indian cottage cheese) and Khoa (Milk solids). I have made it with store bought paneer and khoa and it was very quick to make. I had to use a bit of milk (about 3 tbsp) to bring the paneer and khoa together to form dough, but if using homemade paneer and khoa, the moisture content would be high and hence would be sufficient to bind them together. I also made the inside a slightly different color of the eye catching effect, but that step is totally optional. 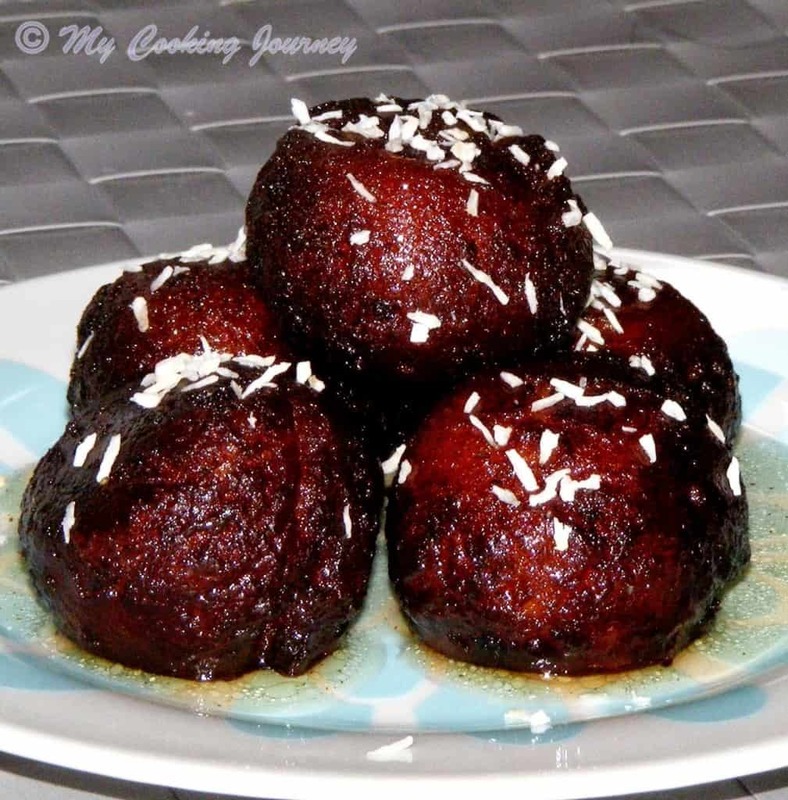 I had referred to few different web pages and boos to help me shape the kala jamuns. 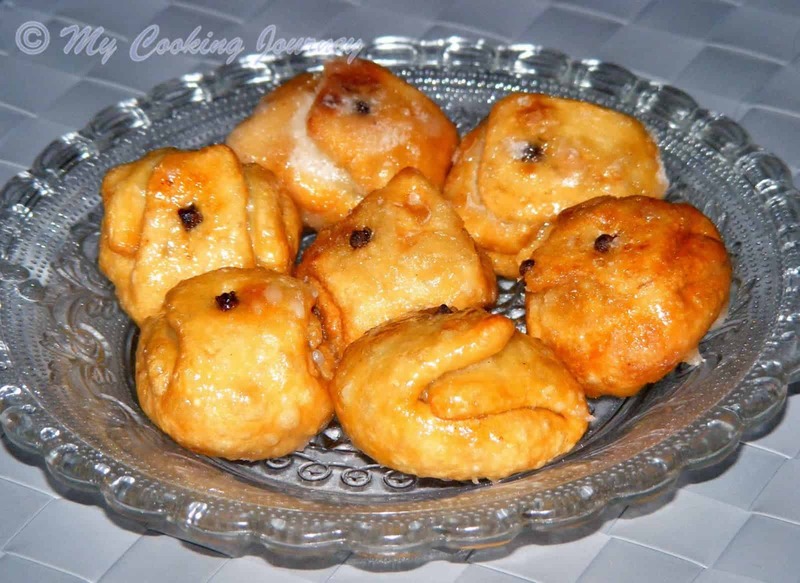 I also double fried the jamuns to help them get cooked all the way inside and also to ensure that nice dark color on the top. 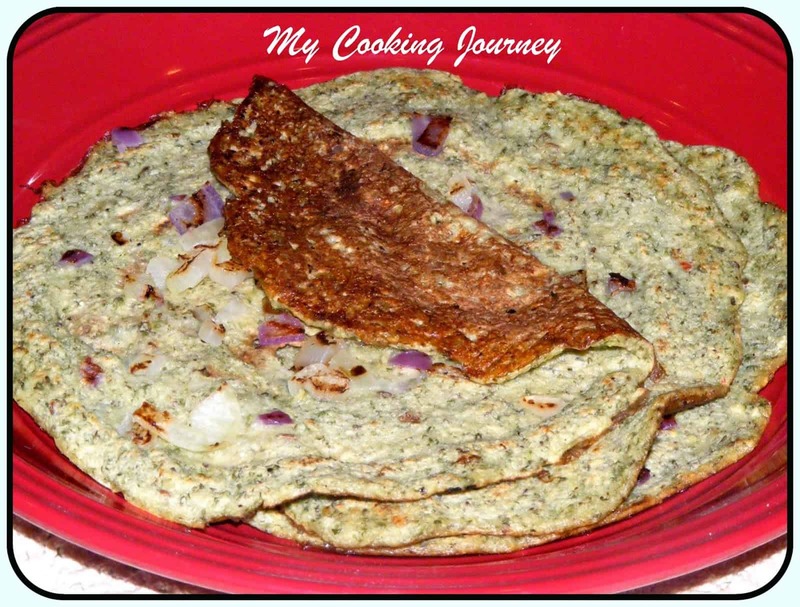 Grate the paneer and the khoa and add maida, salt, baking soda and sugar to it. Mix it well using your hands and add about a tablespoon at a time to bring everything together. Knead until you get soft pliable dough. Add more milk if needed. My khoa was on the drier side and I needed about 3 tablespoon of milk. Cover with a wet cloth and keep it aside for about 10 minutes. Divide the dough into 1/3rd and 2/3rd. 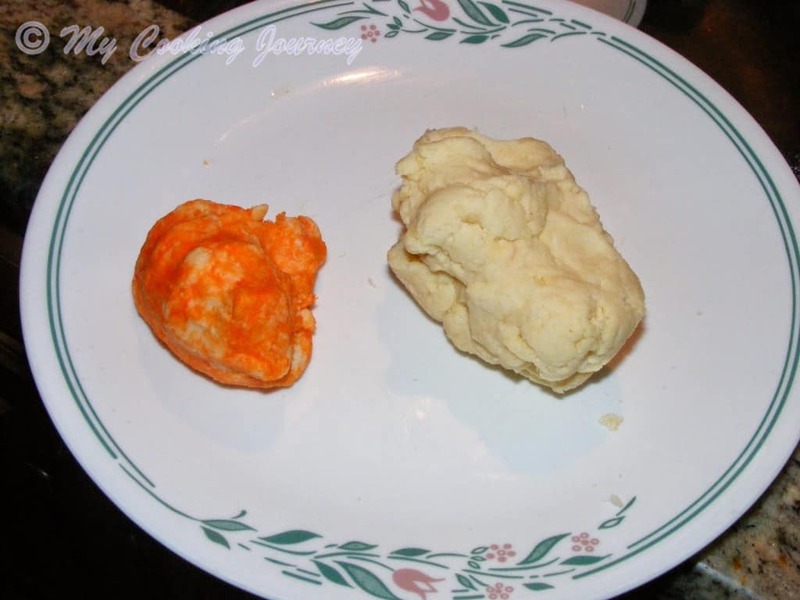 To the small portion of the dough, add the food coloring and mix well. 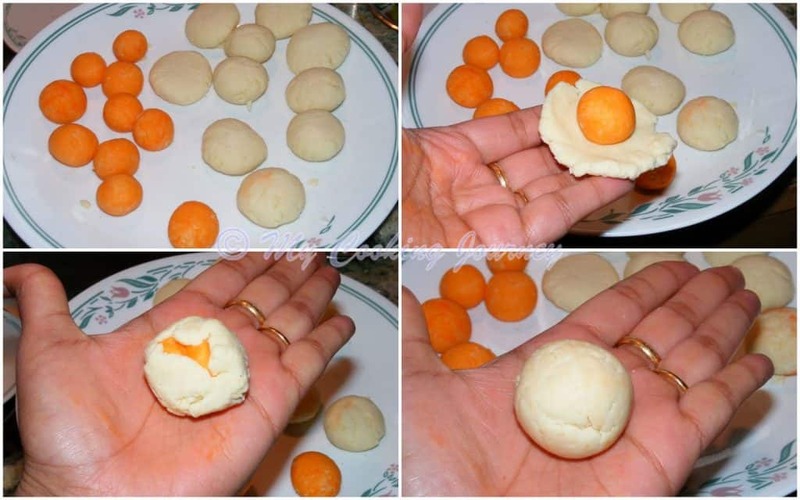 Divide both the dough into 10 equal parts and roll it into smooth balls. Flatten the large ball and place the small, colored ball inside and then close it up and seal the top and then roll it again to form smooth ball. This step is optional. 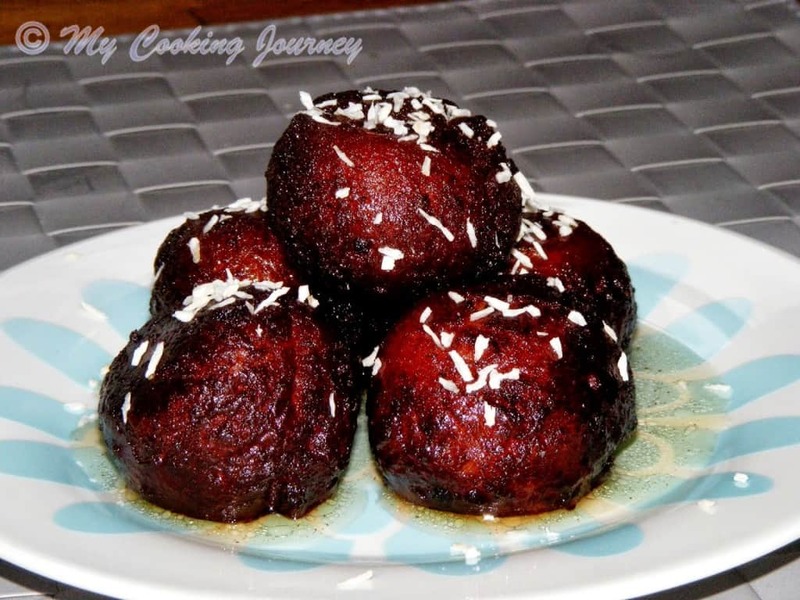 If not using food coloring, just use the entire dough to make plain jamuns. In that case you will get about 15 large Jamuns. Do the same with all the dough. 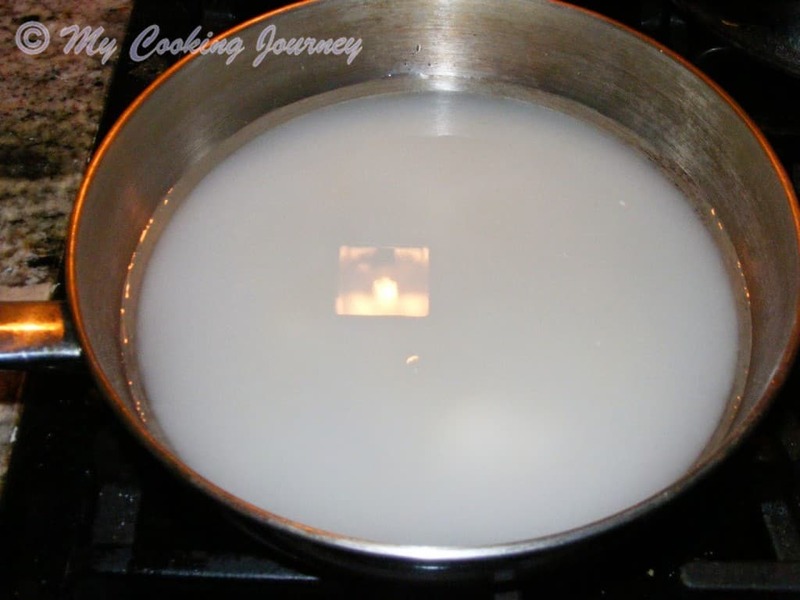 Heat oil in a pan for deep frying. 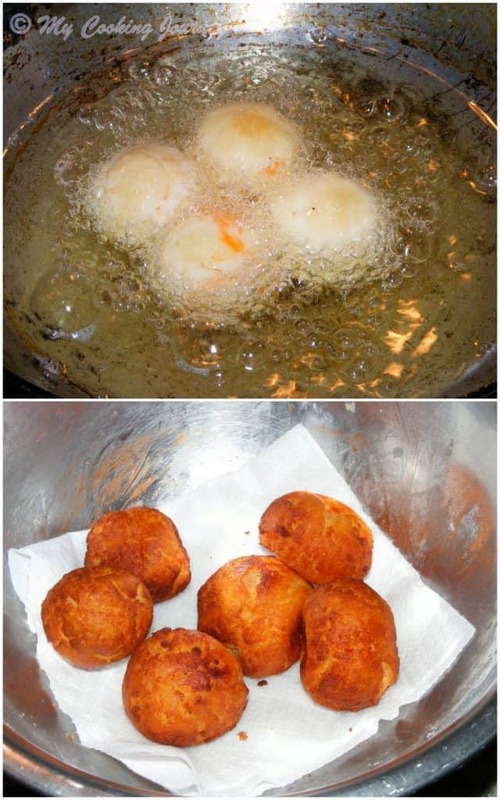 When the oil heats up, reduce the heat to low and then drop the shaped jamuns inside and fry until golden brown. Remove the jamuns out and drain them on a paper towel. Repeat the same with the rest. 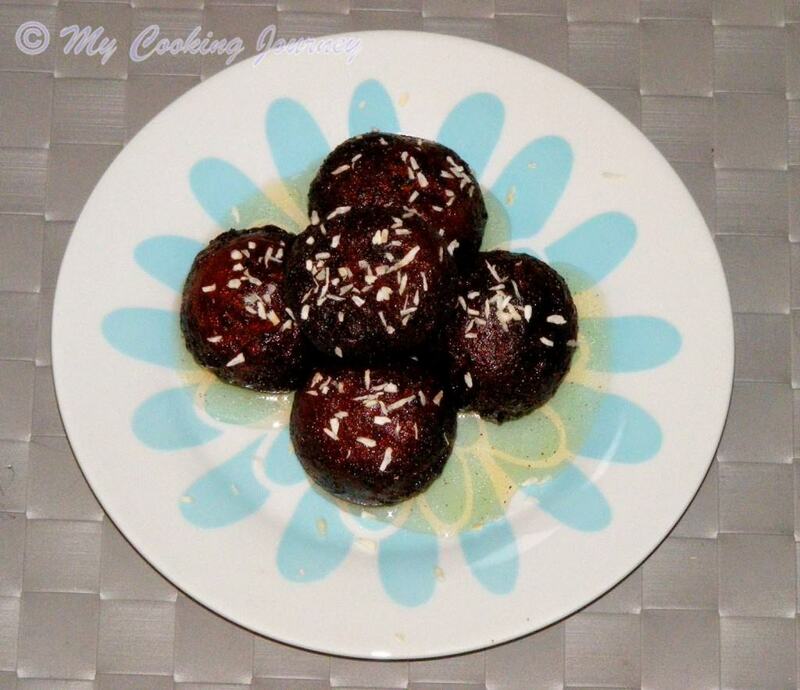 Do not add too many jamuns at the same time to fry. Drop only 2 or 3 at once. 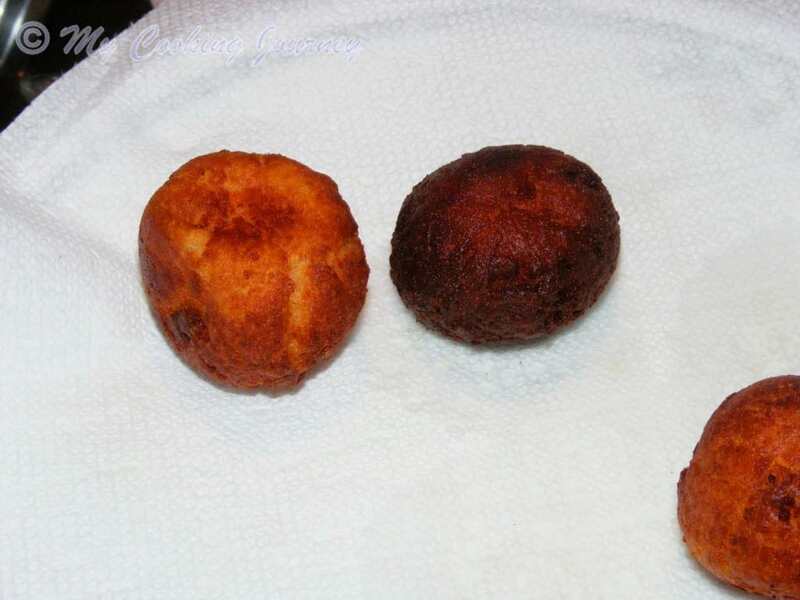 Once you have fried everything to golden brown, drop them again in the oil (starting with the ones that have cooled down) and fry until almost black in color. 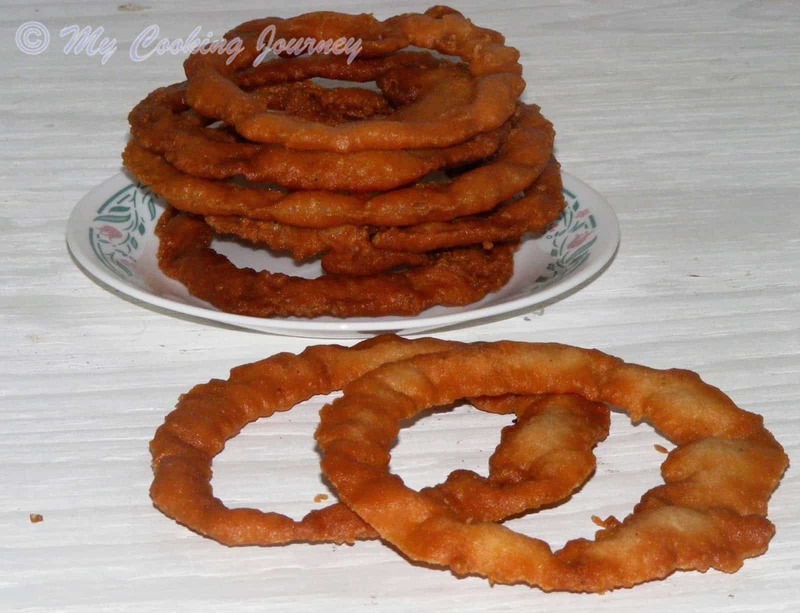 Double frying ensures that the jamuns are cooked all the way inside and also achieves the crispy exterior. Repeat with the remaining jamuns and then drain them all. Meantime, in a wide pan, add the sugar and water and bring it to a boil. Mix well to make sure that the sugar has dissolved entirely. Boil it in low/medium flame until the syrup is sticky when touched. Add the cardamom powder and turn off the flame. 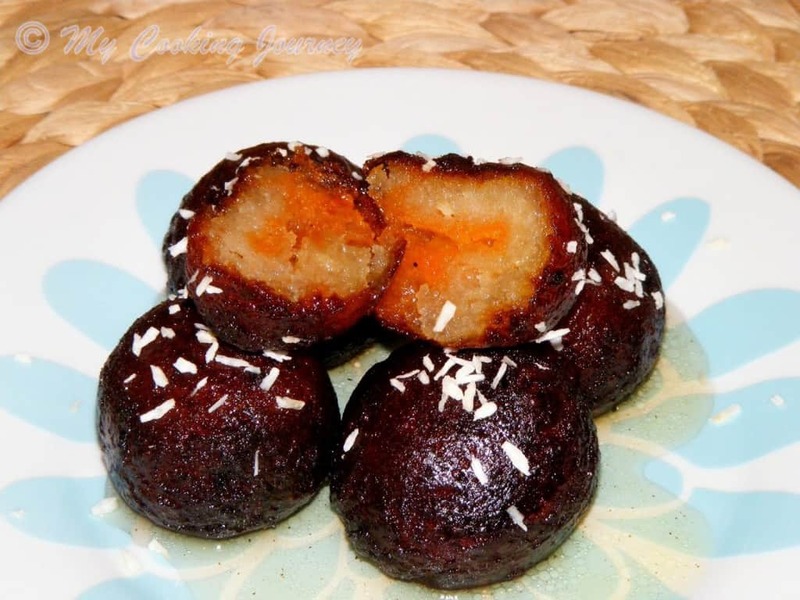 Drop the fried Kala jamuns into the warm sugar syrup and let it soak for at least 3 hours. 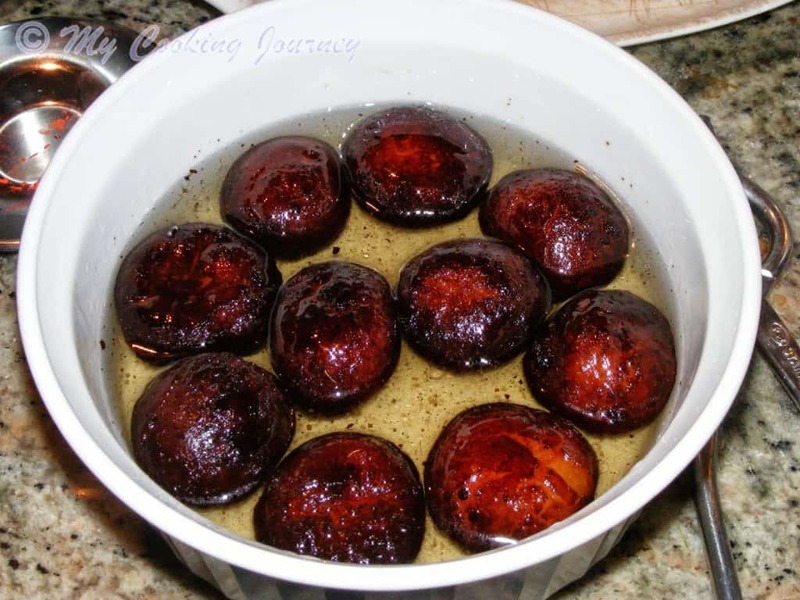 It takes longer than regular gulab jamuns to soak because of its texture, so ensure that you allow enough soaking time. 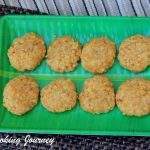 Garnish with desiccated coconut and enjoy!